Creating a safe and comfortable home environment, plays an important role in ensuring better quality of life for people with dementia. The fundamental purpose of a dementia friendly home is to compensate for the effects of dementia and to support retained function and skills. 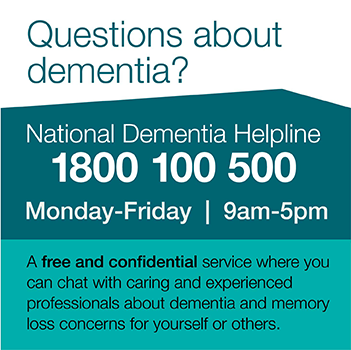 Maintenance of quality of life for the individual person with dementia is the desired outcome. The quality of life of people with dementia is expressed through their response to their environment. One goal of quality and effective dementia care is to create an environment which balances sensory stimulation so that neither over-stimulation nor boredom predominate. Read the Dementia Australia Position Paper, Dementia care and the built environment.